The Dark Ranger: Larry Brooks is Making Up Crap Again! Larry Brooks of the New York Post reports a signing bonus grievance filed by former Ranger Bobby Holik could have an impact on the club's salary cap for next season. 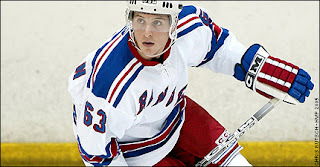 The Rangers withheld signing bonuses due to Holik during the lockout and subtracted his $2 million signing bonus for July 2006 from his 2005 buyout package. Brooks writes if the Rangers lose the case it'll cost them $1.52 million against their cap, enough to have a potential impact in player movement decisions during next season. Even scarier, "Do we hear a starting bid of Fedor Tyutin, Petr Prucha or Ryan Callahan and Al Montoya? 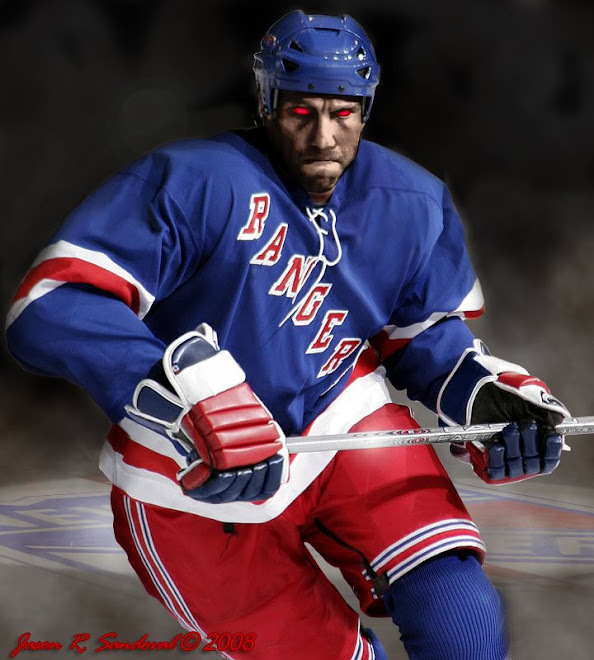 ", asks Brooks in regards to Glen Sather considering trading a package of youngsters for a more experienced center. If there is any truth to this, this would be another throwback to the old veteran team management; when it finally feels that the League is exposing young talent -- the new NHL -- The Dark Ranger will not allow this to happen. Must go to work and conduct some persuasion tactics with the Blueshirt Brass. Larry Brooks is making crap up. Maybe he needs to justify a salary in the off-season.